Computer Weekly’s APAC CIO advisory panel recently gathered for the first time to share their thoughts on digital transformation and what the term means to them. Kicking off the lively discussion was MyRepublic CIO Eugene Yeo who remarked that digital transformation isn’t just about adopting new technology. 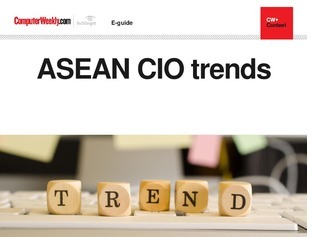 In this e-guide, read more about the issues that ASEAN CIOs are facing and how they are overcoming challenges such as cyber security, talent management and organisational barriers to change.